» click « The 9000F does not unfold its true potential without SilverFast. Multi-Exposure allows it to capture 9.550 instead of just 1.379 grayscales. Multi-Exposure reveals image details that would otherwise remain hidden. iSRD, NegaFix and many more unique features complete the power package SilverFast for the CanoScan 9000F Mark II. Regarding questions and any issues with SilverFast and Canon scanners, you will find a variety of useful links on our support page: Forums, general FAQs, actual system requirements and contact to our support team. International newspapers and magazines have reviewed SilverFast and are thrilled with the results. Read what customers and editors think about SilverFast. Some of the articles are very specific Canon reviews. 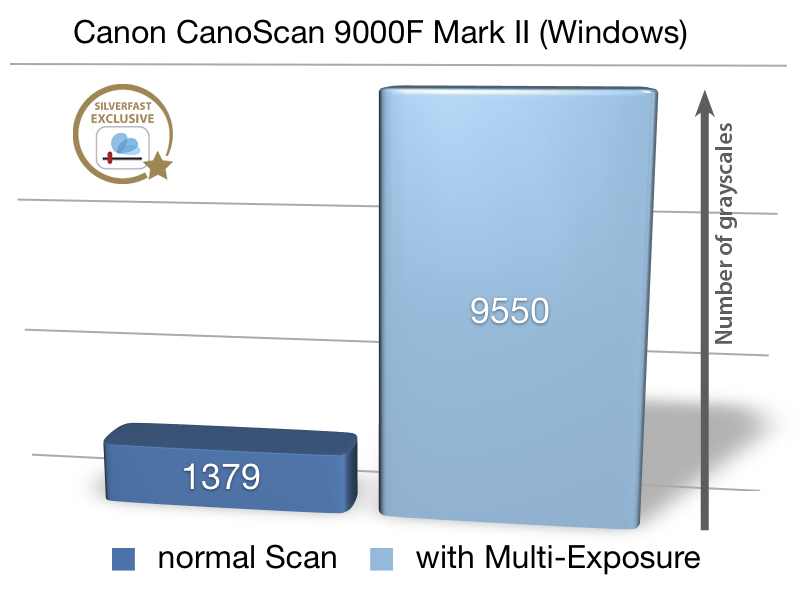 IT Enquirer (9000F Mark II) - … More importantly, the inexpensive Canoscan 9000F Mk II can be manipulated by SilverFast 8 to increase its dynamic range from 1,379 greyscale values to 9,550, using SilverFast’s Multi-Exposure feature. […] You shouldn’t try to remove dust and scratches in Photoshop, but do it in SilverFast as the latter provides for a feature called iSRD. iSRD uses your Canoscan 9000F MK II’s infrared lamp to find dust and scratches and fix these automatically (and much faster than “ICE”, which you’ll find in some other scanners).